To the Chef, the kitchen is his workspace and his art studio, where he creates magnificent edible artwork. To many others, the kitchen is a drag, and cooking is a bore. The difference between the two is often the state of their kitchen. Cooking can become interesting. Heck, anything can become interesting if the right environment is set. Your kitchen is one of the most important parts of an apartment. Meals are prepared there, we eat them there (in the absence of a dining room), and do the dishes there. •	Completely boring (with no 'wow' looks). These gadgets amaze me so much and having one or two of them in your kitchen will certainly add some fun into dealing with fruits in our meals. Ever dreaded the prospect of peeling a pineapple? Or perhaps extracting some citrus juice to spread over your meal? Or chopping herbs and smashing your garlic cloves. Here is some salvation. The Quirky Stem Hand Juicer is amazing for dealing with citrus fruits; just plug it in for a quick spray. 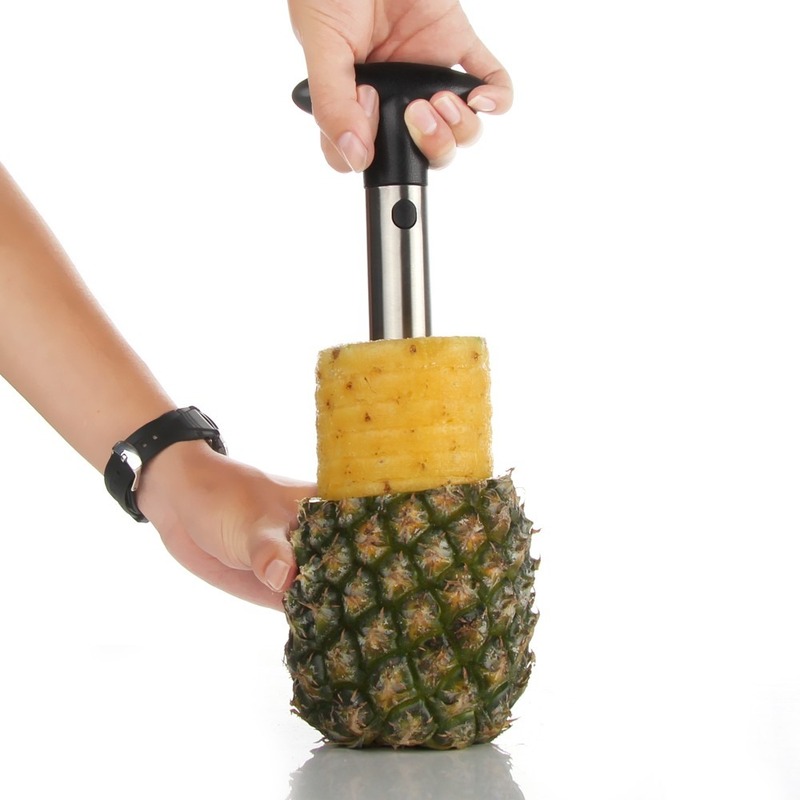 No more need to cut and squeeze your fruits plus you can get an even spray too. The Stainless Steel Pineapple Corer or Slicer also takes the pain off peeling pineapples. This handy corkscrew-like gadget actually makes it a delight if only for how easy it makes the once dreaded task. Chopping up your herbs has also been made hilariously easy and quick with the Herb Scissors gadget while the Garlic Peeler can help you peel the whole garlic in half the time. Any or all of these kitchen equipments will make you want to cook more often. 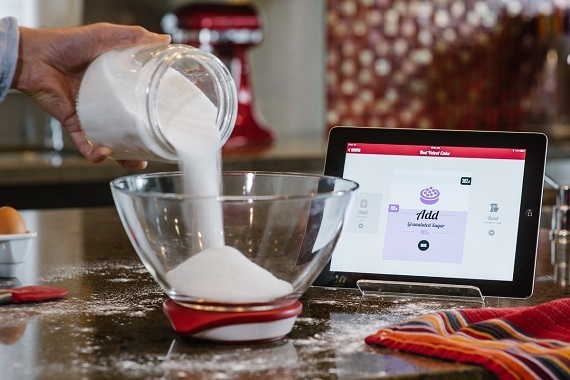 Another one for tech-savvy kitchen users, the Drop Kitchen Connected Scale uses Bluetooth to link scales with an iPad app, which reflects on-screen when you have added the correct quantity of ingredients. The app can also provide you with the recipes, so no need to swap between pages and if you must then you would also need the iSpoon handy. Amazing stuff! This knife cutting finger guard can easily protect your finger while cutting. Made of stainless steel no knife will be able to penetrate this finger protector. Maybe the reason you hate the kitchen is because like me you keep cutting your finger, well, your problems have been solved! 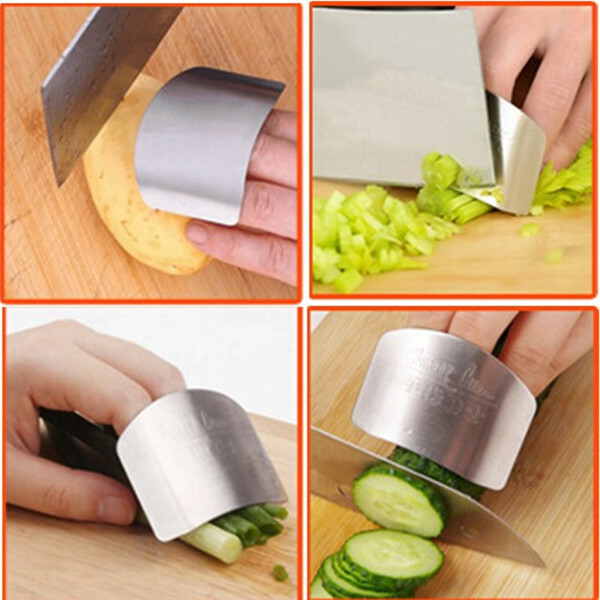 These sleek stainless steel finger guards are the perfect kitchen companion when chopping fresh produce at speed. Simply attach to your middle finger at the back, and the broad plate will protect fingers while you work. This gadget solves a very common problem for those of you who are tired of covering your iPhone or iPad screen with floury fingerprints or worse still jelly, when cooking and sourcing your recipe online. It doubles both as a stirring spoon and a stylus that helps you navigate web pages while you cook your meal. The iSpoon is simply amazing! Maybe what ticks you off is the mess in the kitchen, having to get your hands dirty all the time and having to wash your hands a million times before you are done or getting a mess on your clothes. Well, there is something just for you as well. This kitchen companion solves all these problems at once. 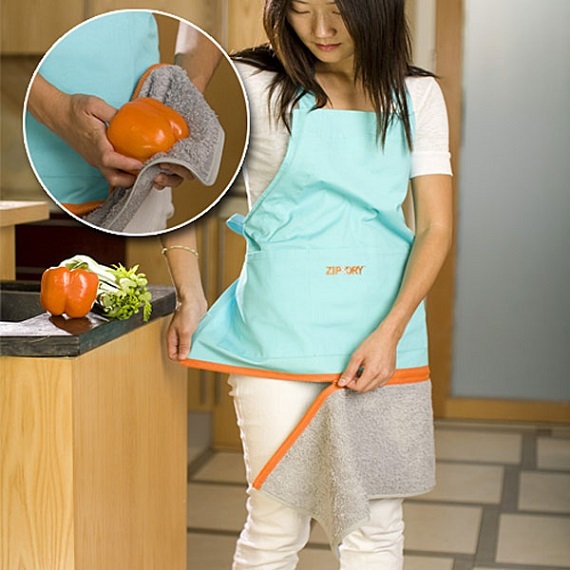 This is an apron that allows a hand towel to be attached to it via a zipper so that you can wipe your hands off as regularly as you want to, while keeping the mess off your clothes. What was that excuse again? Wood is less lustrous! Can they really make a kitchen sparkle? Well, it depends on your definition of what lustrous is. The kitchen environment, its feel and shine and effectiveness is to a large extent determined by the nature of the worktop you use. While I have read a few negative reviews about the wooden worktop, there are a few salient reasons why it can never really be beaten. A solid wood worktop will only look better as it ages, gaining in character and patina as its natural colour deepens and gives off that smooth 'wow' look. 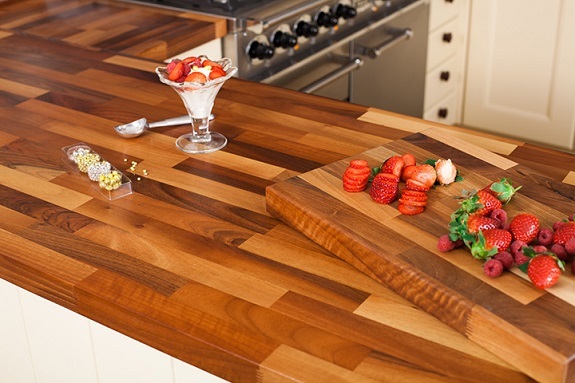 A solid wooden Worktop is also anti-bacterial by virtue of being a natural substance. Again, this equipment is easier to maintain and gives your kitchen that cozy natural, homely look that could keep you cooking for hours, unlike granite and stone which look soulless in the kitchen. All you need do is keep it well-looked-after and regularly oiled and it will serve you a lifetime. Mishaps in the kitchen are guaranteed, the beauty of a solid wood worktop is it can be made to look as good as new. Dents can be filled; scuffs and stains can be polished out or sanded down and re-oiled. However, if you drop a knife on a laminated surface or take a chip out of a stone or granite surface it's much more difficult to remedy. I could go on and on, but I guess you get the point; all your excuses have some salvation somewhere. The Kitchen can be total fun if you are willing to try. Here's to the budding Chef in You!